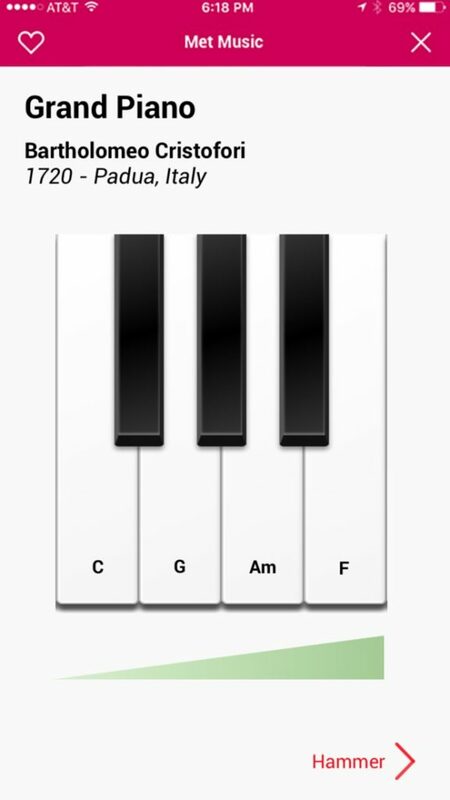 Metmusic is a imagined feature of the Met App where users can “play” the instruments which live in the Met’s Hall of Musical Instruments. We developed this with the MediaLab as our client for the class “Designing for the Met”. I served as game designer and Unity developer for this project. It was showcased at the Met’s annual Digital Expo. 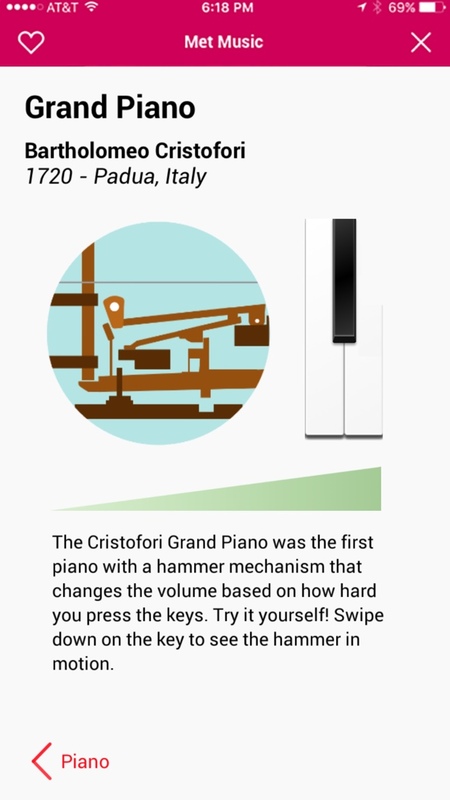 The current iteration allows you to play the first piano, the Cristofori Grand Piano. The main goals with the project was to teach users about the innovative hammer mechanism that transformed a harpsichord to a piano.